"Click here" to visit us on Facebook. You may go to our Facebook page and the Live Stream page to see prior messages. We are located at 29850 6 Mile Rd. just west of Middlebelt in Livonia. Listen to our messages via sound and or video with the tab on the left. We are now carrying our messages "LIVE" via the YouTube! Sunday School (all ages) 9:30a.m. Wednesday Bible Study and Prayer Meeting 7:00p.m. Thank you for visiting the Cornerstone Baptist Church website. 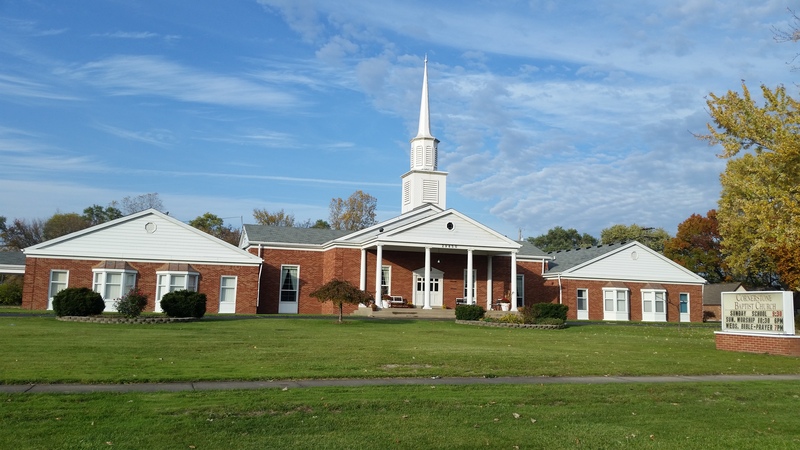 Cornerstone Baptist Church is an Independent Fundamental Baptist Church. Fundamental means that we teach and preach fundamental truths of the Bible without making personal preferences doctrine. Our doctrine that is taught comes completely from the truths gleaned from the Bible. If you're new to the area or just feel the Lord is leading you to visit, we would love to have you stop by for our weekly services. Cornerstone Baptist Church is a friendly and diverse church where people of all ages, race and gender can learn about the Lord Jesus Christ and how to grow in their relationship with Him! Cornerstone Baptist church is a "come as you are" church and we do not have dress codes. When visiting, you will see people dressed in different attire. While we do hold to standards of dress for those in ministry positions in the church, we want you to just come as you are and enjoy the service worshipping together with us in the Lord. Throughout our website you'll find information about our Pastor, our Sunday School programs, bus ministry, photos of our church and audio of the past several messages preached from the pulpit. Thanks again for stopping by! Being a Traditional, Conservative, Independent Baptist Church. Dynamic, Spirit filled worship service where a ministry of worship calls us together with a spirit of expectancy and hope. Services offering the opportunity to authentically worship the living God whose call on our lives transforms every aspect of who we are. A music ministry which presents music that allows us to truly worship our God. A challenge to everyone to serve God with all of their hearts. Once you have taken time to familiarize yourself with some of the opportunities available through the ministry of Cornerstone Baptist, you will likely identify some areas that we could assist in meeting specific needs in your life. At Cornerstone Baptist, we work very hard in developing opportunities that will help you grow in your walk with the Lord. Our first concern, however, is that you experience salvation through the saving power of Jesus Christ. You will make many decisions throughout your life, but there is no decision more important than inviting Jesus Christ into your heart as Lord and Savior. This decision alone will determine your eternal destiny. Soon after becoming a Christian, the selection of a Bible-teaching, Christ-centered church home is vital to your spiritual growth. If you have needs in either of these areas, please allow us the opportunity to help in meeting those needs. Again, thank you for the privilege of allowing us to share Christ with you at Cornerstone Baptist Church of Livonia. We invite you to come and discover a vibrant relationship with Jesus Christ here at Cornerstone Baptist! Cornerstone Baptist Church is a group of believers with a common goal-reaching our community with the gospel of Jesus Christ. We would like to take this opportunity to invite you to make us your spiritual home. A great church is made up of strong Christians and strong Christian families. The Bible says, “Faith cometh by hearing and hearing by the Word of God.” Reading the Bible is vital to the Christian life. As we read the Bible, we should search the Scriptures, comparing Scripture with Scripture. Also, set a goal to memorize Scripture and meditate on the Word of God. In our personal lives and with our families each day, we need to be reading the Word of God. about it, the greatest untapped resource in the Christian life is the matter of prayer. Pray each day. Pray for loved ones. Pray for church leaders and their families. Pray for your church. Pray for our nation. Pray for the lost. Establish a prayer list. Pray. The Lord Jesus Christ deserves your faithfulness. Attend every service of the church. A great deal of the strength of the church is based on the faithfulness of the people. Support special meetings at the church with your faithful attendance. God’s work is to be supported God’s way. The Bible teaches that we should pay the tithe and give our offerings. Practice tithing as a conviction. Bring the Lord's tithe with you to church each Sunday. Support the ministries of the church with offerings. By faith give to worldwide missions. Support the Christian education endeavors of the church. We cannot out give God. Our Lord Jesus Christ came to seek and to save that which was lost. He left us on earth to tell others about the Savior. Determine to bring others to the Savior. Work to bring other families to Christ and to the church. Set a time to go. Make a list of names and addresses of people you want to reach for Christ.